Are you ready to stretch beyond your comfort zone? Poke your big toe out. Take one step. Then another. Maybe a short sprint; a hop, skip and a jump. It'll be OK -- just trust me! The first step toward trying something new is always the scariest, but it gets easier, smoother. 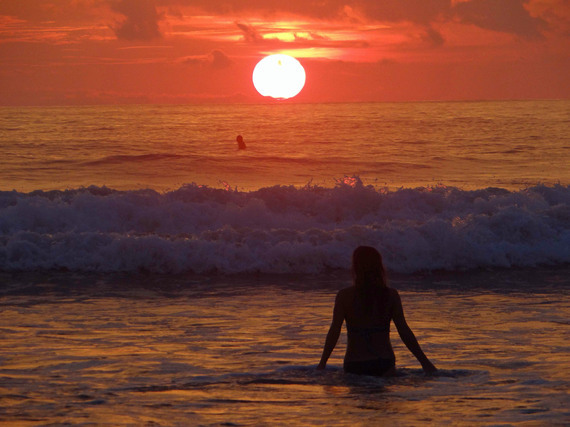 I've done this myself -- heck, I up and moved from California to Costa Rica, and I'm more alive than ever. Life isn't perfect here but I'm choosing to not just survive but to THRIVE. To make a difference. To show up as my best self possible. Another thing? I'm here on the sidelines, cheering you on. My greatest hope: for you to learn how to thrive in an imperfect world. To be Sanguine, even when the dark clouds roll in. Take your favorite clichés and get inside of them like your favorite sweatshirt. Get ready to take the bull by the horns, prepare to not put off until tomorrow what you can do today, make hay while the sun shines, and above all -- remember that practice makes perfect. 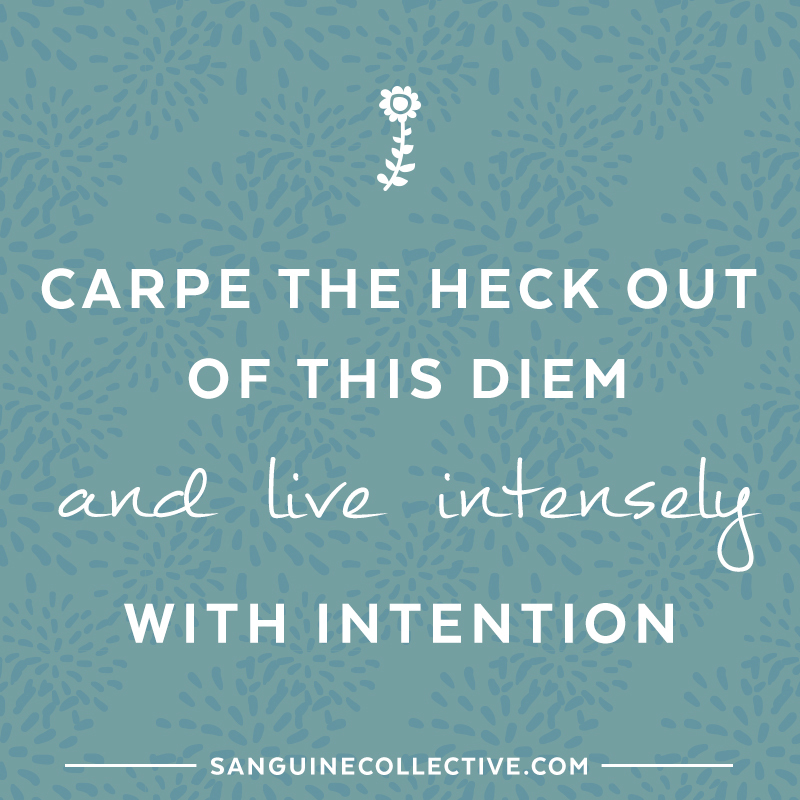 You, you're going to carpe the heck out of this diem and live intensely, with intention. This is when life gets real. And fulfilling. And intense. As soon as you stop surviving, reacting, reaching -- you start thriving, responding, and holding steady within the abundant space that exists within you. Before you know it, you'll be flourishing so hard that you won't even bother to pick up the phone when doubt calls! The only regret you'll have is not having tried this sooner. There will be tears -- of happiness, sadness, and anger -- and there will be smiles, and belly laughs, and feelings of weightlessness. Your inner fire will start to burn so brightly that people will wonder what new regimen you've embraced. That new regimen, you can tell them...it's the choice of a life well lived. Wholehearted, meaningful, fulfilling LIFE. Leap, and sew your parachute as you fall, then weave your safety net as you swing on the trapeze that is life. Oh yes, there are risks. You'll encounter sharp objects from time to time -- but there's always the needle and thread of your own perfect resilience. Living with intention isn't the easiest thing you'll ever do, but it'll be the best, because once you're able to sing your own inner harmony, the universe will hear your voice, and supply you with everything you need. Keep moving forward, upward, onward, inward. Learn. Grow. Blossom. Thrive. The more you deepen your relationship with your truest self, the deeper the well of confidence, courage and strength you can access -- it's all inside of you already, and you're simply tearing the paper off the windows to illuminate what's there, and to let that shine out! My deepest wish is for you to learn that the secret to a happy, healthy and harmonious life is the continual journey towards the best possible version of yourself -- showing up in the world as the beautiful, purpose-driven individual you were meant to be. Huge, magnificent change is possible, and it can start with one person -- one heart. The first step is always a step within, where harmony lives. What first step are you waiting to take? What's holding you back? 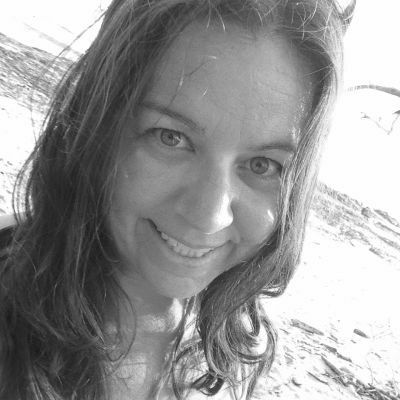 Founder of Sanguine Collective, eco wellness author and creator of the Inherent Harmony mentoring program.